Show cars are among the star attractions at the world’s top auto fairs. Built to give the public a taste of tomorrow’s automobile design, they are often extremely eye-catching, low-slung and streamlined. In addition to shouting at us in loud colors, most of them are as flamboyant as any runway fashion. But very few will actually make it to the production line. In the coming years, car designers will have to focus on a number of other essential factors. Fortunately for us, those factors promise a bright future with cars full of high-tech. Let’s be honest, most of us still have fond memories of the year 2000. Not the year 2000 that we celebrated at the end of 1999, but rather the semi-mythical Year 2000. Back in the heady days of the 1960s, it signified a bright future, a bold age in which technology would have long since solved all our problems, a brave new world in which cars could fly and people would live on Mars. As we know, things didn’t quite turn out that way. Not that there aren’t a heap of things now that nobody had thought of then: video cameras the size of a postage stamp, drugs to fight diseases that hadn’t even been discovered 50 years ago, clothing that is not only waterproof but also breathable, and smartphones with a processing power that would have made NASA green with envy a generation ago. But automobiles that can fly? No way! Gazing into the future is always a difficult business — not least for car manufacturers. For them, it would be great to have some idea about tomorrow’s forms of transportation, if only because they could then start talking about what kind of technology and investment this might require. Yet one thing is sure: with air quality set to worsen in the world’s mega-cities, the internal-combustion engine is going to become increasingly unwelcome. In fact, not only does it produce harmful nitrogen oxide emissions; it also guzzles the world’s progressively scarce reserves of crude oil. Experts therefore agree that it is only a matter of time before the car in its current form is gradually phased out. But if only they knew what might replace it. 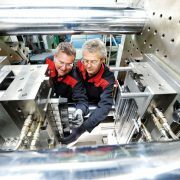 One thing is certain, however: innovative materials like those produced by LANXESS are set to play a crucial role here. Yet what is to prevent us from flying to work, instead of being stuck in traffic mornings and evenings? After all, there’s nothing new about helicopters! The answer is simple: even small helicopters consume 100 or more liters of aviation fuel per hour (at a flying speed of around 250 km/h). That’s easily enough to keep the thirstiest U.S. automobile happy for a while. So, although no one really knows what cars will look like in 20 years, one thing is clear: the chief design consideration will be to make them as fuel-efficient as possible. Everything else will be affected by this limitation. That’s because the cost of energy is set to rise — if only because more and more people around the world are consuming it. 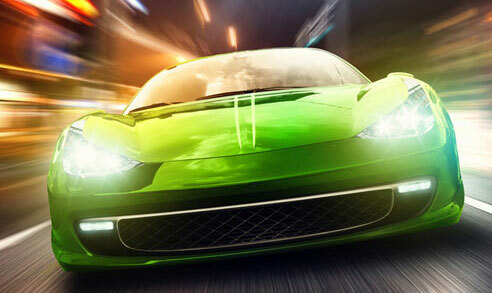 At present, there are around 900 million cars worldwide. Experts predict this will rise to well over one billion within a few years. More and more people can afford to have a car now, particularly in the world’s emerging economies. In China alone the number of people buying cars is forecast to increase fivefold by the year 2020. The key attribute of future cars will therefore be efficiency — and that applies not only to the internal-combustion engine. 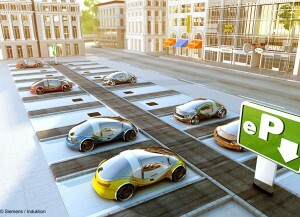 Electric vehicles, too, will need to husband the energy from their lithium power packs. After all, when the battery runs out of energy and no power point is available, the trip will abruptly come to an end. In fact, it is the limited operating range of such vehicles that tends to deter prospective purchasers today — even though studies reveal that the average driver only covers a few dozen kilometers a day. Larger batteries are not the answer. 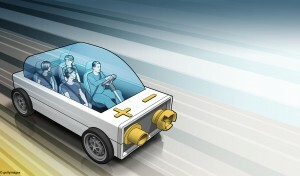 These just add even more weight and, in a vicious cycle, hike the vehicle’s power consumption. Producers of specialty chemicals like LANXESS are poised to play a key role in making cars more fuel-efficient. 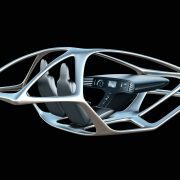 For example, they are developing the materials that will contribute to tomorrow’s mobility. 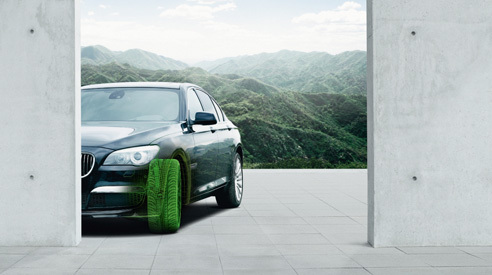 These include high-performance rubber for tires. Conventional tires soak up a significant proportion of the energy produced by the engine before it can be delivered to the road as propulsion. By contrast, modern synthetic rubbers from LANXESS enable innovative manufacturers to create tires with significantly reduced rolling resistance, thereby cutting fuel consumption. Many of these advanced rubbers are already in production; others are currently under development. 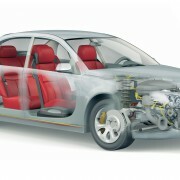 In similar fashion, it is evident that the use of lightweight materials helps make cars more fuel-efficient. As a result, automakers are now doing all they can to cut down on vehicle weight. Designers of electric cars likewise face a whole new set of challenges. Take the problem of heat management: any components used near the battery — e.g., plug-in connectors — must be able to handle high temperatures. And the specifications for the charger plug that is inserted into the power socket every evening are equally stringent. It must be insulated against current leakage and be able to survive undamaged should somebody step on it. By the same token, it is also clear that the many plastic components in electric cars will have to satisfy strict fire regulations. Regardless of what cars will look like in the future, they will definitely contain more plastic than is found in today’s models. Although you wouldn’t necessarily know it, as much as one-fifth of an average car already consists of polyamide and other plastics. This marks a massive increase compared with just a few years ago. So, will the cars of the future turn out looking exactly the same as today’s models? Will they, for example, be as light as a feather and fantastically ecological but uniformly aerodynamic and with interiors in muted, low-key colors? Not necessarily. 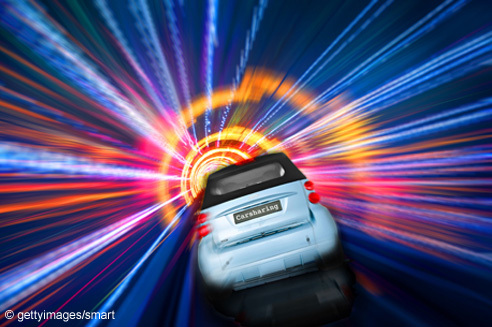 In fact, there is much to suggest that the cars of the future may well end up having quite a lot in common with those optimistic visions regarding the Year 2000. After all, there are many other considerations that automobile designers will have to take into account. And these will all have a major impact on how cars look. When carmakers go to the trouble of incorporating lightweight materials into their products, they want to make sure that the customer sees this. One option here is to use transparent lacquers in place of opaque paints. Such a technique, common in the world of Formula One racing, allows the fine webbing of ultralight carbon fiber to shine through to the surface of body parts. Yet carbon fiber is only one aspect of lightweight engineering. In order to boost the green credentials of their products (and to demonstrate the progress made to future customers) manufacturers will also make greater use of materials comprised of renewable raw materials — at least in part. One example of such a material is Keltan Eco, a bio-based high-performance rubber from LANXESS, which is an excellent sealant material. In addition, engineers are busy working on new composites that use natural fibers to strengthen plastics. This, too, is something that sales personnel will emphasize when talking to prospective customers. To mark out electric cars from their less-green rivals, designers will attempt to make them look as “electric” as possible. By the same token, light and airy designs, incorporating large windows, for example, will serve to highlight the use of lightweight engineering. From a structural point of view, the grouping of windshield, roof, and A-pillars is central to a vehicle’s rigidity and therefore its safety. And here an unexpected method of bonding is proving its worth: glue. In the right context, glued components can provide greater stability than those that are riveted or welded. And glue is definitely an area where polymeric materials can display their advantages! Tires, too, will change. The use of high-performance rubber is only one example of an area where chemistry can help cars consume less fuel. Another design trick is to increase tire diameter and reduce tire height. Once again, the use of special rubbers is the only way to achieve this without compromising handling characteristics. Compared to conventional gasoline-powered or diesel vehicles, electric cars make completely different demands on tires. They have much more powerful acceleration, for example, and tires have to be able to handle this. 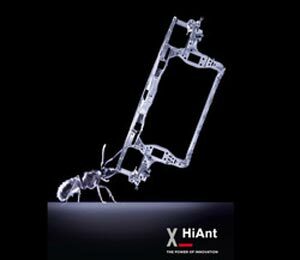 Here, too, a more slender design with a tread made of special elastomers from LANXESS could well be the answer. A Colorful Future for Car Design! Making vehicles lighter is one way to save resources. Using them in a more intelligent way is another. One forward-looking approach here is the concept of car sharing, which is currently spreading through our cities like wildfire. It all boils down to a simple question: Why buy your own car, if you only need one for a couple of hours a week? Despite the obvious attractions of such a scheme, there is one small drawback: nobody likes getting into a dirty car. One remedy here could be the use of dirt-repellent plastics. This, however, poses quite a challenge, particularly when it comes to light-colored surfaces, chosen to convey values such as “lightweight” and “ecological.” Substances like ice cream, ketchup, mustard, or sunscreen leave stains on “classic” plastic coverings. Protective lacquers, however, are expensive. Chemical companies such as LANXESS are therefore looking at potential solutions in this area, such as plastic surfaces featuring the lotus effect. When it comes to light-colored or even white leather, the industry is already one step further. 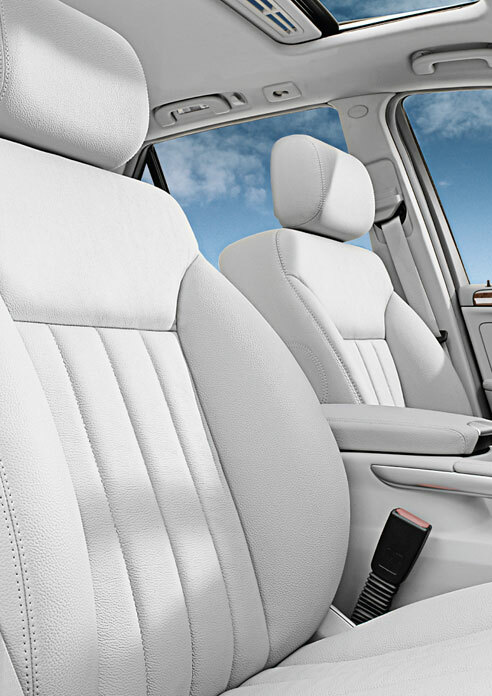 LANXESS, for example, now supplies finishing agents that provide leather seats with lasting protection against soiling. People who, despite everything, still wish to purchase a car are unlikely to want one “off the rack.” Instead, they will favor models closely tailored to their own preferences. 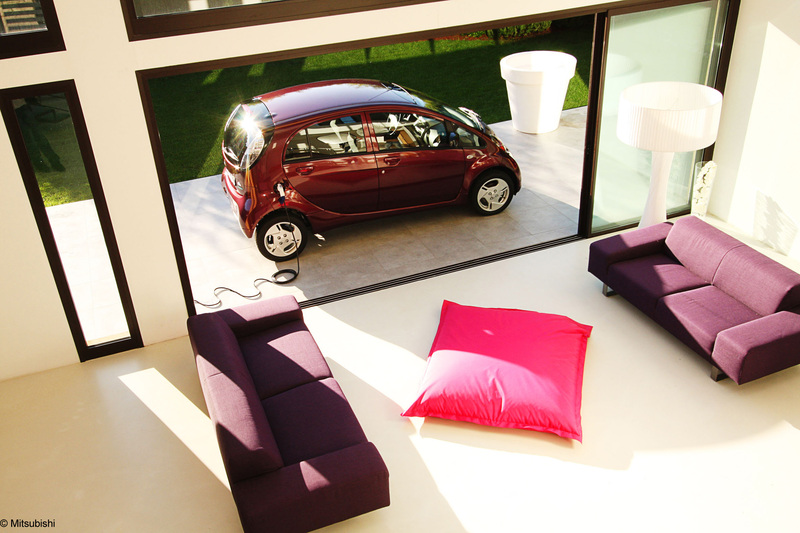 For this reason, trend experts believe that cars will become increasingly individualized in the coming years. Even today, it is well-nigh impossible to keep tabs on all the various special editions of a particular vehicle model. Customers buying a new car today can choose between different body colors. In the future, they will be able to design their own interior — much in the same way that people can now place an online order for sneakers in their favorite color. Given that painting will remain an expensive task, the help of plastics engineers will be required here as well. In fact, it seems that we already know quite a lot about tomorrow’s vehicles: they will be lightweight, extremely attractive, save resources — and they’ll be a lot of fun. 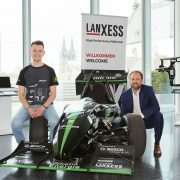 All these things will be possible thanks to ultramodern materials developed by highly specialized chemical companies such as LANXESS — companies that, with good reason, are already championing the cause of sustainability.